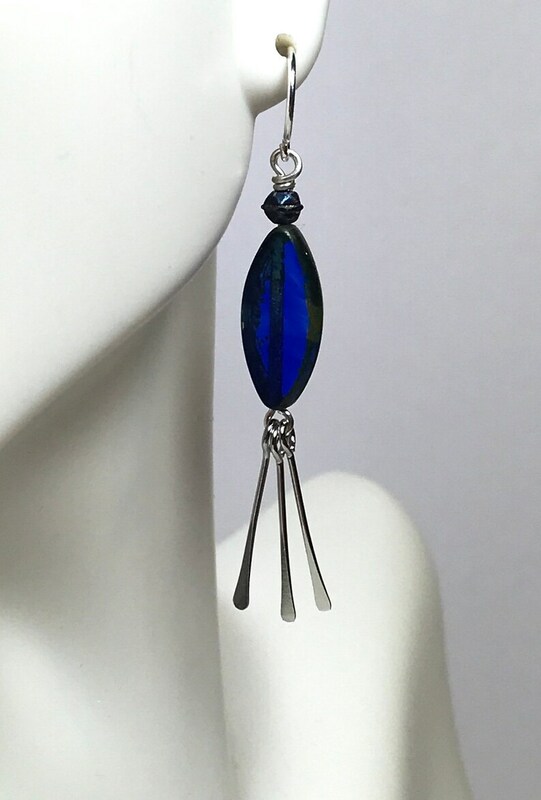 These slender wavy-blue beads make into such elegant earrings! I love the way they partner with silver. 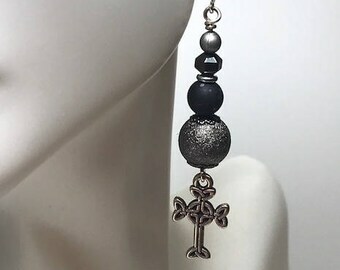 For this pair I used three dangles for a little more excitement and movement. Still simple enough to wear everyday, but special enough to draw notice with subtle movement and beautiful color. 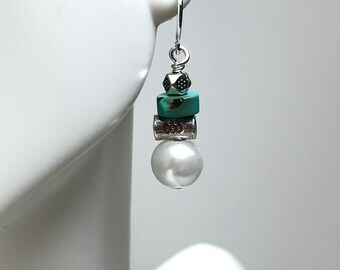 I use Sterling Silver-filled earwires in my designs, and I include a pair of ear nuts with each pair to keep the earrings securely on your ears. Please message me with any questions, and thanks for stopping by my store!